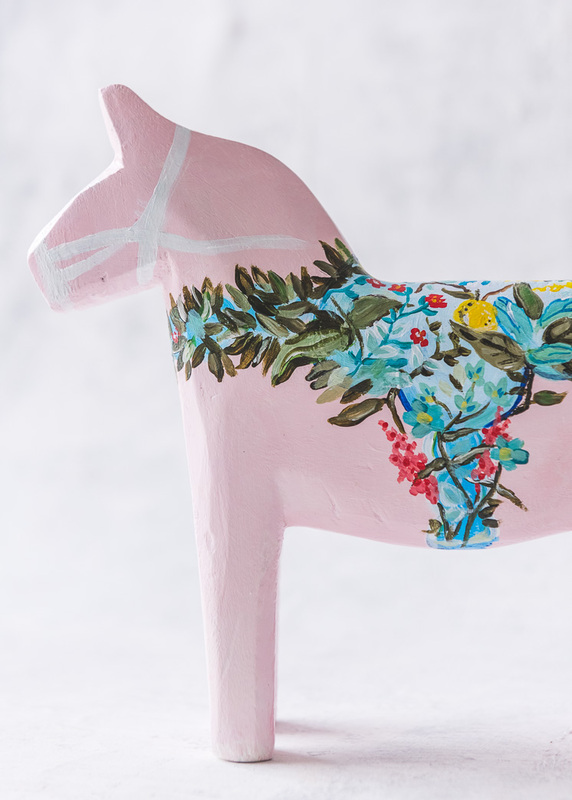 Start by painting a base coat on your horse. 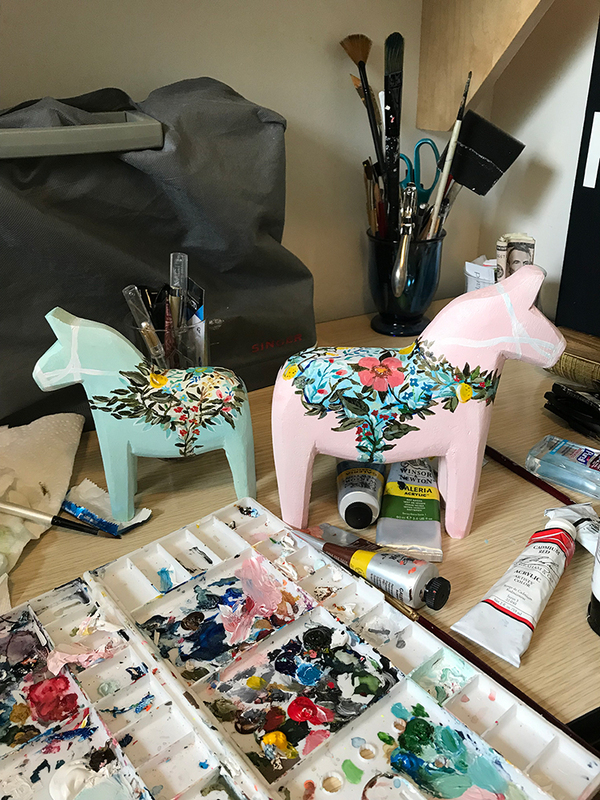 Then paint details to your heart’s content! 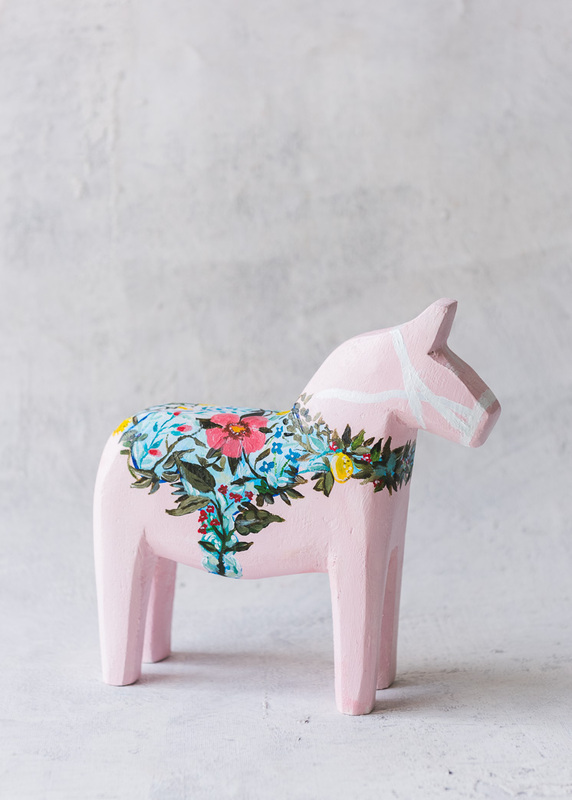 Feel free to use traditional Dala horse designs as your jumping off point, or copy ours directly! 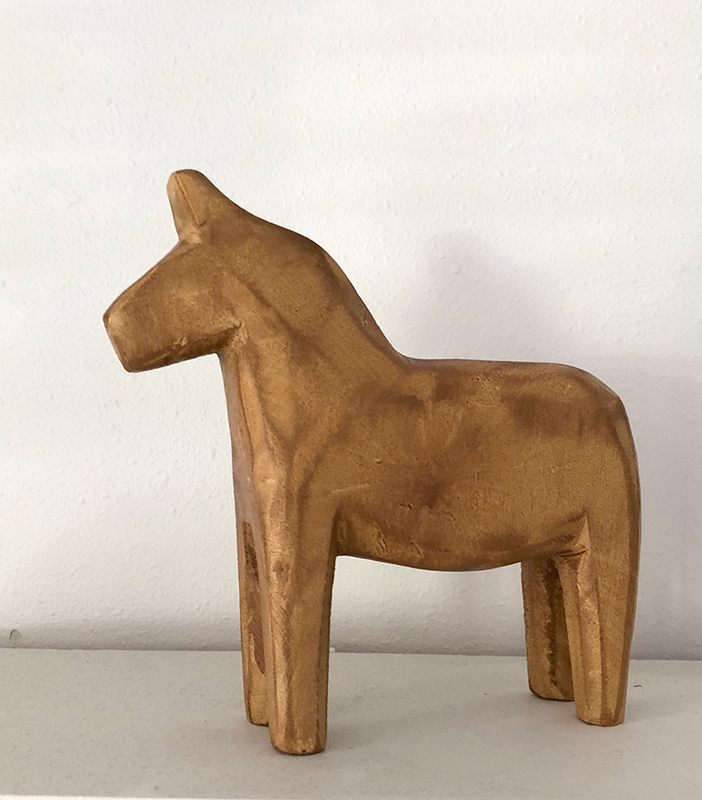 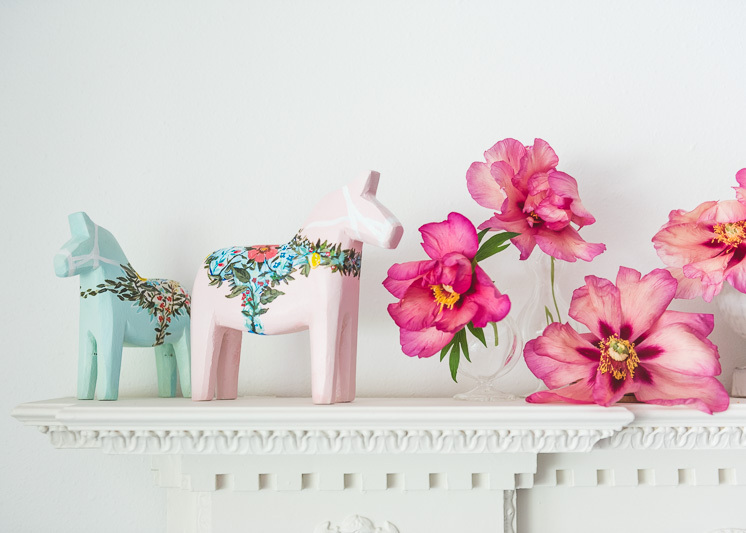 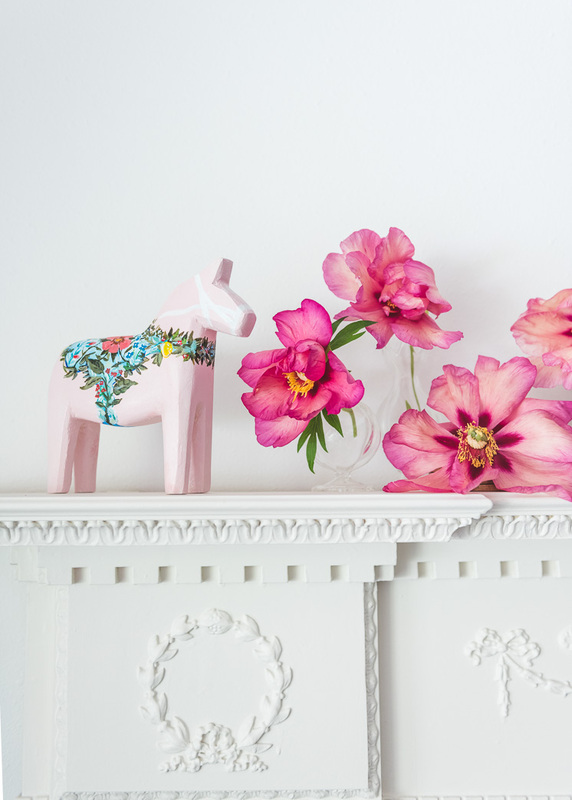 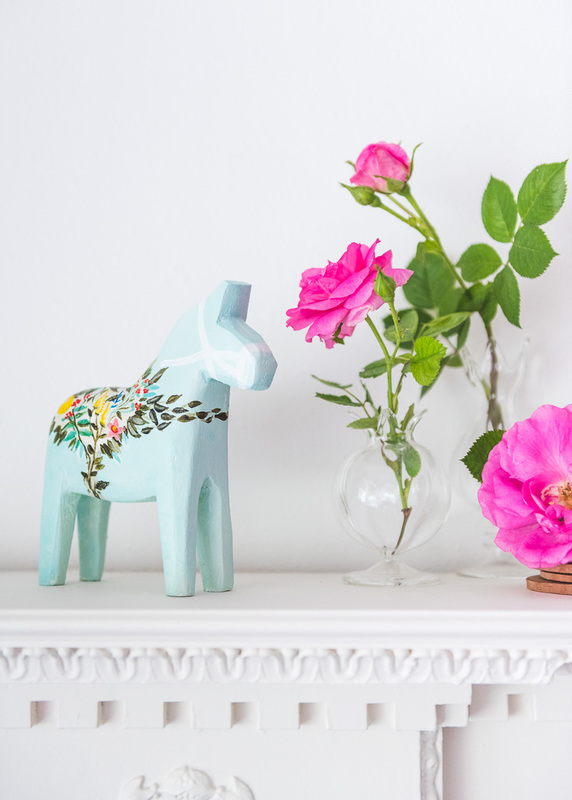 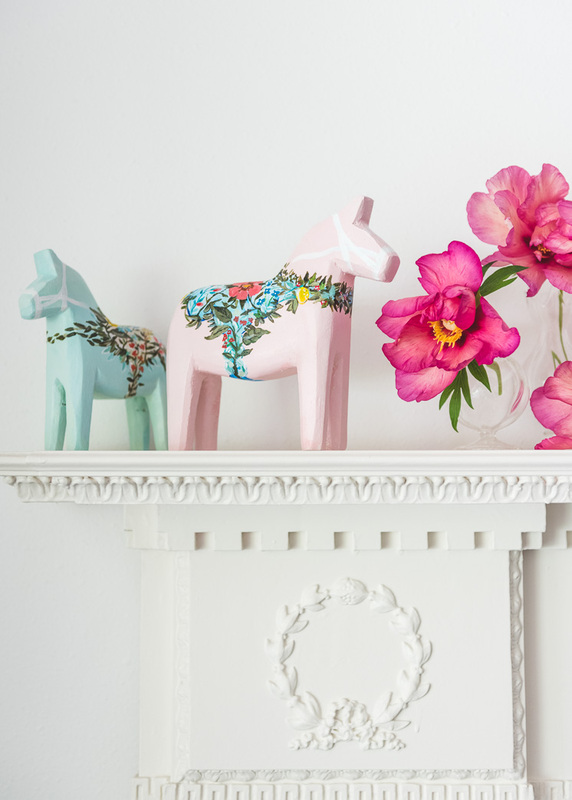 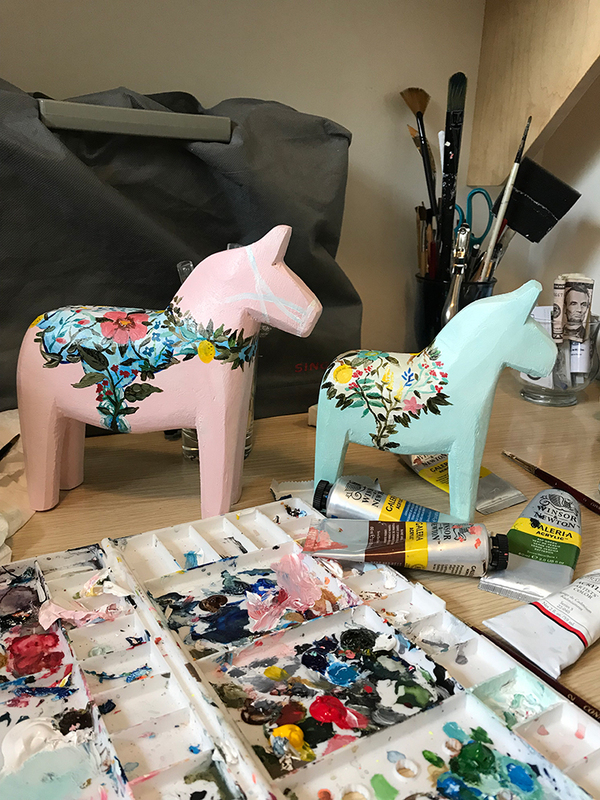 Then If you want your horse to have a glossy finish like traditional Dala Horses, spray with a clear gloss spray paint. 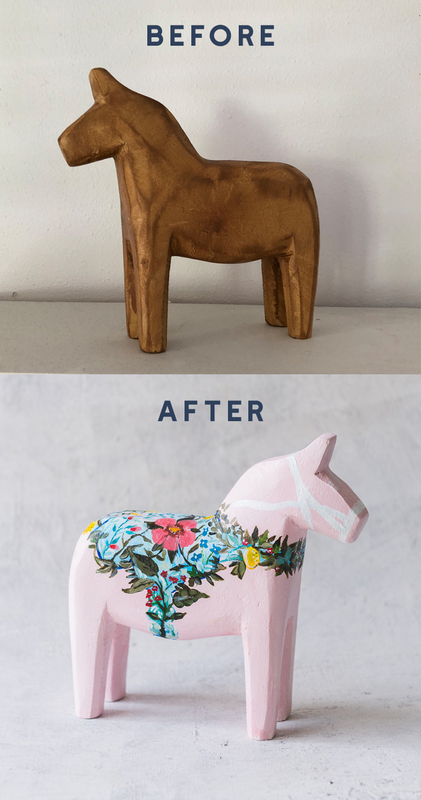 Just make sure your horse is dry from your detail painting beforehand. 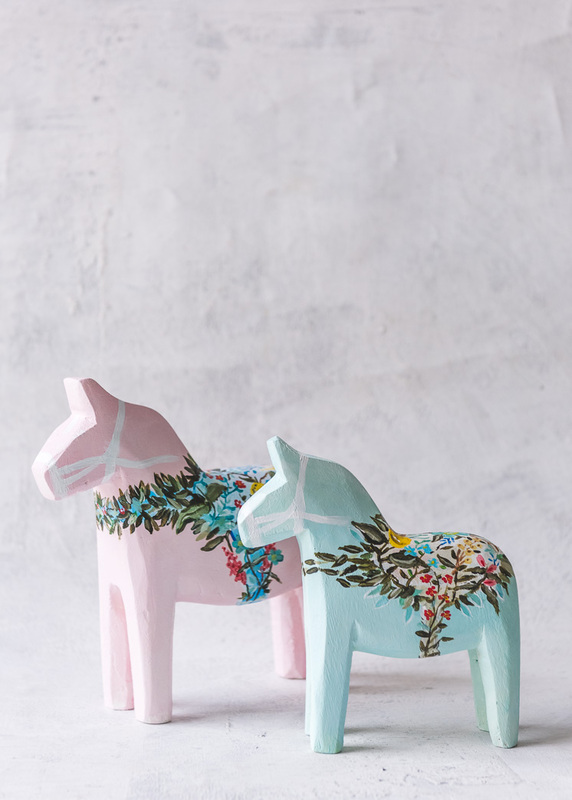 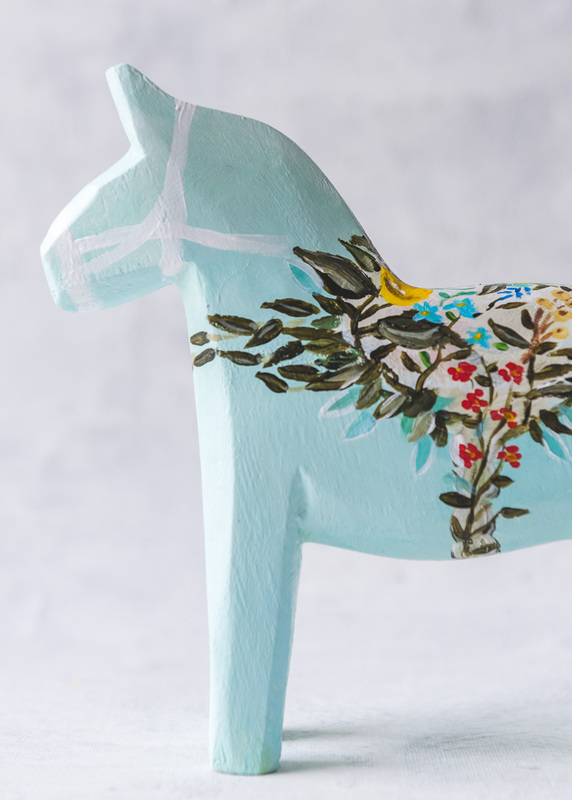 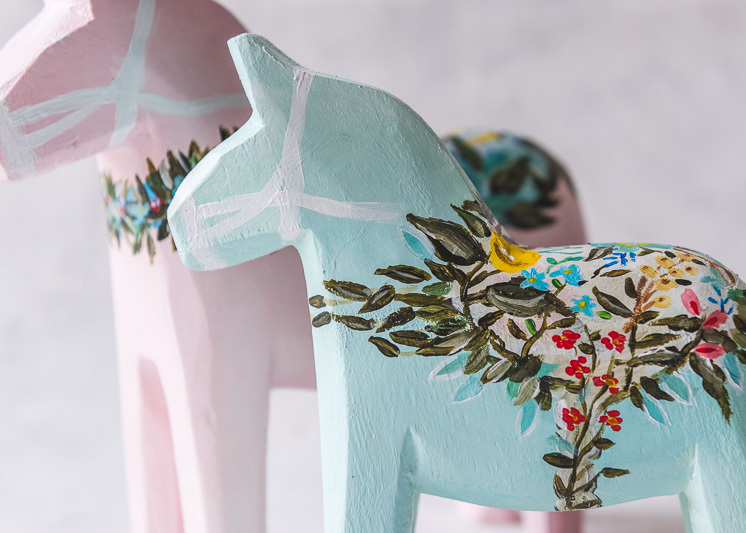 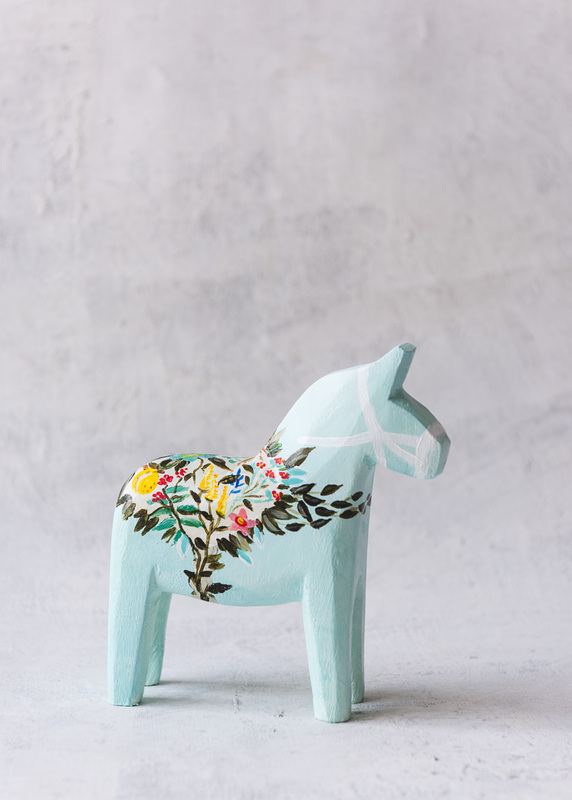 Afterward, display your hand-painted horse for all to see!